In today’s world, many of us dog owners have high-stress lifestyles – the demands of work, home, and family can really ramp up our anxiety level. What about our dogs, however – is it possible for our Chihuahuas to experience anxiety like we do? The simple answer, of course, is yes. It’s true that many breeds are far more unflappable than our little friends. 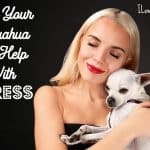 Chihuahuas in particular seem to be known for their nervous tendencies, and just like their human counterparts, our stressed out pups may worry about a number of different things. In some cases, the anxiety is so severe that it can affect our family routines or our relationships with our Chihuahuas; sometimes causing us to be worried, overprotective, upset, angry or even resentful of our pup’s behavior. And just as with people, constant anxiety might even have a worrisome effect on your little friend’s health, increasing their cortisol (stress hormone) levels and making their immune system less effective when they’re fighting illness. 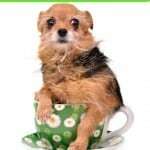 • Separation from their owner or other animal friend – Chis tend to bond very closely with their families. • Boredom – Our smart little pooches need lots of interaction and play to give them enough mental stimulation. • Not enough physical activity – though small, Chis still need lots of exercise! • Fear – Especially if they’ve been poorly socialized, or have had a traumatic experience previously, Chihuahuas might be stressed out by new people, different environments, loud or unusual noises, and even other dogs or pets. • Changes in routine – Dogs are creatures of habit, and if we could actually talk to them, most of them would say they prefer a fairly predictable daily routine. This is an instinctual remnant from their wolfish ancestors – consistency in food source and shelter meant a greater rate of survival! • Health problems or chronic pain – it’s never fun being sick, and a Chi who’s feeling crummy all the time can definitely feel upset and anxious. 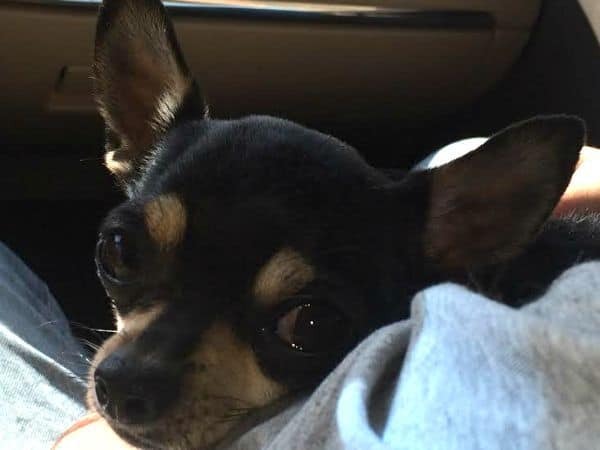 • Losing a family member (human or animal) –Chihuahuas are little dogs with big hearts; it’s not uncommon for them to grieve after losing a close companion. The good news is that there are many ways in which you can lend a helping paw to your anxious pup. To begin with, it’s always a good idea to have them fully examined by their veterinarian to help rule out any medical problems that could be causing their stress. Next, taking steps to enrich your Chihuahua’s day-to-day routine can go a long way towards lowering their stress level! Feeding a high-quality and nutritious diet, providing fresh water, and giving your pup a comfortable and secure place to rest (without fear of interruption) are great ways to keep them physically healthy, but your time and attention is important to your pup too. Make sure that your Chihuahua is getting lots of exercise from daily walks or backyard playtime, and give their brain a workout as well with interactive toys, obedience training, teaching fun tricks, or even games of ‘hide and seek’ or ‘find the treat’. 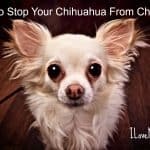 We already know that our Chis welcome love and affection in large supply, but remember to avoid harsh corrections or punishment too, which can only make anxiety worse. 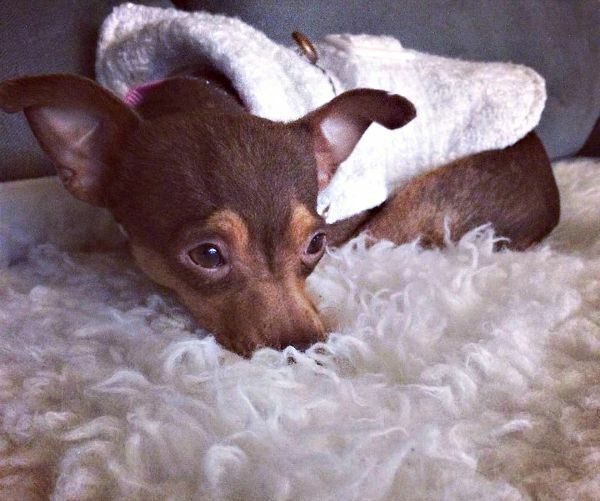 For some Chihuahuas, simply giving them more of our time can make a huge difference in how they feel; for others, however, the chronic cycle of stress and anxiety can be impossible to relieve without help, particularly in cases of severe separation anxiety, extreme under-socialization or fear caused by a really dire event. For these dogs, a program of slow and careful behavior modification supervised by a veterinary behaviorist is often the best option for recovery and relief. Occasionally, veterinarian prescribed anti-anxiety medications are an option for relieving severe anxiety too, which helps with behavior training and conditioning, allowing a dog to become calm enough to be able to experience certain situations without feeling constant stress. It’s true that there’s often no quick and easy solution to treating your Chihuahua’s anxiety, but that doesn’t mean it should merely be brushed off as ‘just a Chihuahua thing’. Emotional stress is a serious problem for many of our pups, and as their loving owners, we need to step forward and help them through it. After all, aren’t they always there for us? So, is your Chihuahua stressed out and anxious? Do you know why? Have you tried anything to to help your Chi with his/her stress? Did it work? Let us know in the comments! I adopted a hurricane Katrina rescue, Lily is a Chiwinie and suffers from PTSD. I adopted Lily not only for my love for dogs but because I too am a PTSD patient and can relate with her 100%. I have tried everything on the market, from the thunder shirt to every new product that’s sworn to help and absolutely nothing has helped. Our biggest problem with Lily is traveling, she loves riding on the car, just for no more than five minutes. So we tried a new trick on our trip to Northern California, we gave her a couple of drops of valerian and we gave her a buffalo ear to chew on….the back seat was very quiet, after about an hour I turned back and Lily was out (asleep), nevertheless hugging the unfinished buffalo ear….300 miles later she woke up, to pee, drink water and continue on her mission with the ear…it worked that’s all that mattered, she’s been able to travel the entire Baja and has sunbathed in white sand, all thanks to valerian drops and buffalo ears. Wow, that’s amazing Silvia. I have never heard of valerian drops before. I’ll have to do some research on that! Thanks for the tips. So I found something that helps my Chihuahua. Most days all of our family aren’t at home till afternoon due to work and school. At first my Chi Sassie would pee, poop and tear things up while we were gone. So after some time I’ve found that keeping a pile of blankets on the couch ( for cuddling) , leaving the television on low, as well as her favorite toys and chewys on the blankets, she has been so much calmer and happier. To the point sometimes she doesn’t even realize we’re back home. It takes time and patience because all dogs are different. It helps having anxiety myself because I definitely understand. Thanks for the time to read my opinion! He sounds like a wonderful Chihuahua Jackie! I have Four Chi’s, two are rescues. One, Miss Stella, was rescued from a verbally abusive former owner. She’s an emotional wreck! She is loving and adorable but any little thing upsets her and she retreats to her “room” (a DIY end table turned kennel) and peers out. She is so loved but often requires that extra reassurance. A visit to Gramma’s house always perks her up. My other rescue, Woody, was an Amish Mill born pup turned stud. His actual age is unknown but it’s estimated he was in that horrible Mill for 3 to 5 yrs, in a two-foot square cage with no sunlight, toys or attention. He was rescued by a well meaning couple with two larger dogs and he spent 6 months being terrified until I brought him home. Stella and my other two Chi’s; Mouse and Pearl, accepted him with open paws. He and Mouse became best buds, unseparable…for a time. For no known reason, they began to fight, viciously! I suspect jealousy…..Mouse was very attached to me to begin with but Woody has a seizure disorder and gets “Daddy attention” when he has one. Anyway, I’ve tried all kinds of things to get them to be friends again, to no avail, yet. For now, one is kenneled while the other is out. I alternate them every couple of hours so they each have ‘social time’ with the other dogs and me. I adore them ALL and would do anything for them, and DO!! Money is tight but Woody is going for neutering early this year, hopefully that will at least decrease the tension….I just want them all to get along again. Chihuahua’s are just the best! 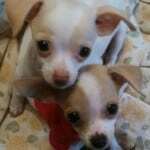 Your little doggy family sounds wonderful and i love that you rescued these babies! I wonder if the sudden fighting is trying to fight for alpha dog status. It’s pretty common but usually they work it out between them. I hd no idea the Amish were into breeding mills. Shocker! My boy is now almost a year. He recently started to get scared if it rains. The sound on the roof scares him. He is only aloud in my room in the night and thats when he panics. If it rains and n have to close my door for us to go to bed he gets so nervous and just cry and scratches the door. I tried playing music and got relaxing pills from the vet but nothing seems to help. It is affecting my sleep now and i am still in school so i cant only sleep one hour a night. What can i do? Hugging or holding him just works for a little time. What can i do? I am running out of options here?! I’m not sure Larisa. You have already tried the things I would suggest. Do you want me to post this on the facebook page for some suggestions from others? Did you try a Thunder Shirt you can buy from a pet supply store? It worked well for my maltese for fireworks. Thundershirts are hit or miss but it’s definitely worth a try. Thanks for the suggestion! Can you help with a barking chichuachua please x I got her when she was a year she now 16 months . I am stuck in the house the neighbours have complained about her barking , she isn’t left long 2 hours and has two friends both chichuachua . I can also ask on the facebook page for you if you want to see if others have any advice for you. My chi Kissy Girl has a few anxiety issues. She lost 2 members of her family in a very short space of time (my husband 10 months ago, and my other chi 5 weeks later). She stresses so much every time I walk out the door! About 5 months ago, I adopted a chiweenie from a local rescue to keep Kissy company when I have to go out. I think it has helped a little, but my new girl, Duchess, apparently also has a few abandonment issues of her own to work out (Adopt an Angel rescued her from a kill shelter; she was adopted by someone from AAA and then returned). I try not to leave them any more than I have to, and I haven’t left them overnight. I do leave the TV on for them when I have to run errands or am going to be out for a while. I’ve gone out of town a couple of times, but have brought them with me and they both travel very well. I’m hoping that as time goes on, their anxiety will lessen when they realize I am not going to abandon either one of them. They are both so precious to me! You’re such a good doggy mom June! They probably will calm down after awhile. I can also ask for suggestions on the Facebook page if you want me to. It sounds like George is trying to tell Henry that the bed, and you and your wife are his property alone. I’m not sure what to do about this one, other than crate George at night until he changes his attitude. Do you want me to ask for you on the facebook page where you may get some better answers? Our make Chi has stopped sleeping with us (and his sister) in our bed. He did this a few months ago when one of us accidentally moved too quickly and scared him. That only lasted a few days and he was back. It’s been two weeks now. We don’t recall rolling on him or scaring him, we can’t figure it out. He will be 5 this year, all 3 of us miss him snoozing with us. If we try to bring him to bed he just stands under the covers and shakes until he can get out and goes back to his cage. We had the vet check him out last week, the vet was unable to find anything wrong with him. He could had a nightmare along with being startled that freaked him out. He may come around eventually. I would let him see you loving and cuddling his sister and that may make him feel he’s missing out and may encourage him back to bed. I need a help. The anxiety could cause blistering in the body? Because my chi in several events like fire works or alone in the house for many hours then have blister but only in above of body. It sounds like hives Karina and being anxious could cause them. Your dog would definitely be helped by a small daily dose of CBD oil. It’s done wonders for one of my dogs who has some anxiety problems. 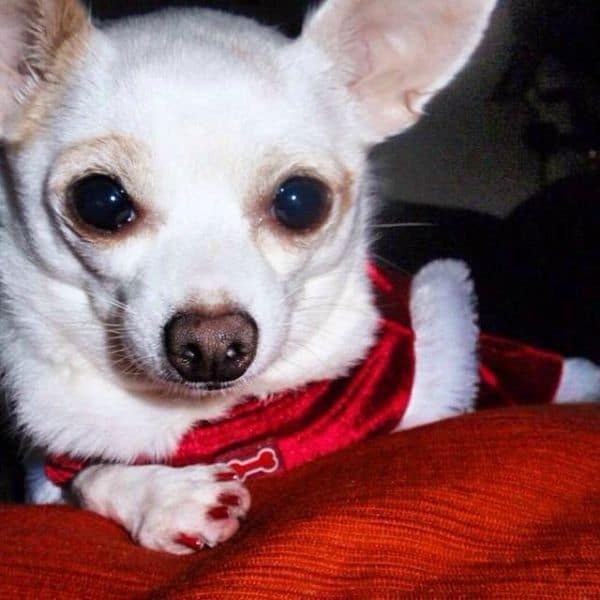 My Chi, Chili, was rescued from a puppy mill, she had one litter that we know of, approximately 2-3 years old. She is super attached to me, but she goes insane barking at my 9 year old son, and will not let anyone touch her unless I am holding her. She actually snapped the other day at my elderly uncle while he was talking and popped his hand on the recliner to make a point and she almost bit him. I need help! The dog will NEVER be given away, but I want her to have a happy life, not a stressed one! She may never completely get over this but a good training class could help. Also a daily regimen of CBD oil will calm her down.